This post was written by Dano Qualls, Fresh Tilled Soil apprentice. The UX strategist has a mindset that sees how all the moving parts fit together, and that can be learned. Is UX Strategy a Skill? Visual design, industrial design, and engineering are skills. It takes years to become an expert, and the work provides real value to a company. By that definition, is UX Strategy a skill? Yes. A strategist has to understand psychology, visual design, business, and technology to do their job well. They must know what exists and what is possible. I asked strategists, designers, and developers at Fresh Tilled Soil what they thought. Is Strategy One Person’s Job, or Everyone’s Job? The more people in a company who are invested in the user’s needs, the better. Is there a need for a specific strategist role? If so, what would they do that nobody else does? Everyone on the team should be familiar with markets, branding, and user psychology. These teams also need an expert in these areas to help make choices about the strategic direction. A strategist is needed when a product or an idea of a product doesn’t exist yet. The UX strategist is the person least tied to something tangible. They are the most willing to create something entirely new. Can “Junior UX Strategist” be a Job? Companies hire junior designers and developers because they can get to work and provide value right away. Can a junior strategist do the same? A strategist should be asking a lot of questions, and junior people are great at that! Charles Kettering said, “A problem well-stated is a problem half-solved.” A junior strategist can ask “what if” or “how might we” about the user’s journey and the business’s options. A UX strategist advises and oversees a project’s execution. Leading a team in that way requires soft skills that are learned through first working as a member of the team. 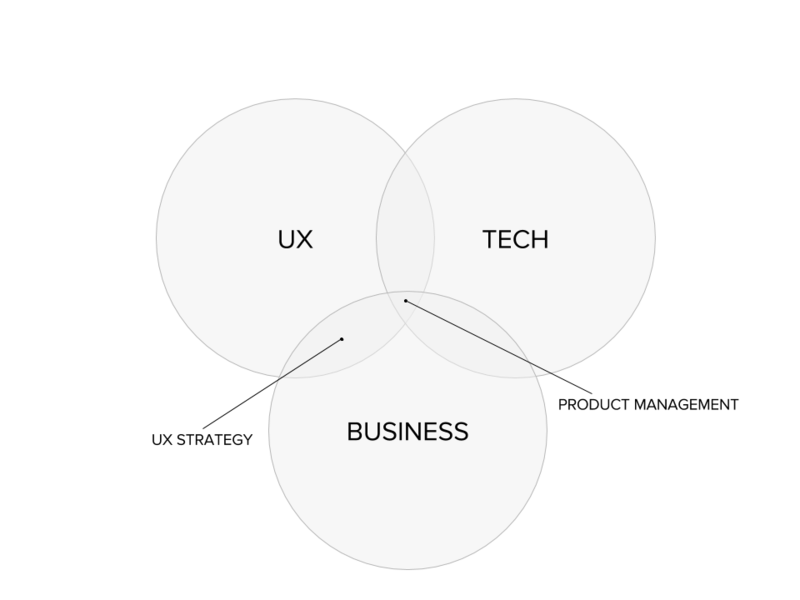 UX strategy is the combination of UX design and business strategy. Jumping right into that role is unlikely, but you can spend your time learning about the two subjects. If you’re a management consultant, read up on design thinking and use the tools in your job when they will help. If you’re a UX designer, read about strategy and then ask questions about how your product can shape the market. Your company could probably benefit from this kind of thinking, so start doing it. You may not get to present your ideas to the CEO tomorrow, but if you root your recommendations in science and strategy, they will get noticed and so will you. Father, husband, coach, mediocre cyclist, VP at @freshtilledsoil. I write about product, marketing, and design when I’m not riding bikes. We’re Fresh Tilled Soil. UX Designers and strategists inspired by human biology. Our strong opinions are our own. We take full responsibility for what we say and create.